Tiger Woods’ win at the Masters held a lot of meaning to a lot of different people. 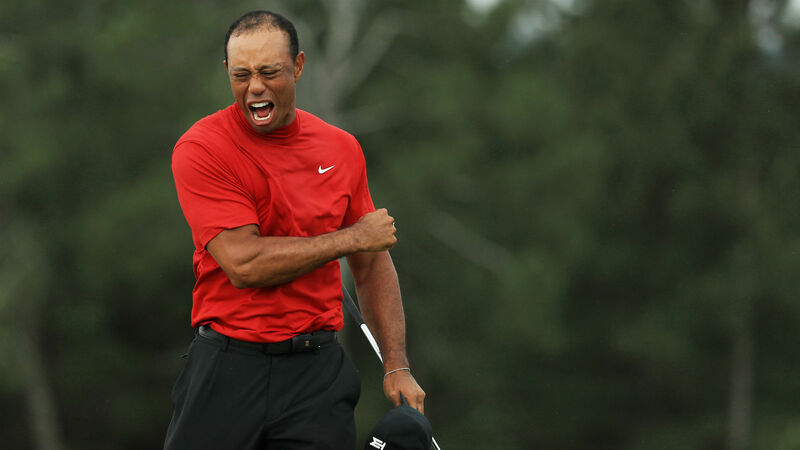 It was a personal redemption story for Woods, a long-awaited emotional moment for fans, and provided a huge payday for bettors who backed the 43-year-old champion. But it also served to launch a whole new round of Tiger betting based on what the 15-time major winner will do going forward. Sportsbooks opened up a new range of futures bets on Tiger Woods following Sunday’s dramatic, come-from-behind victory at Augusta, making Woods a favorite for several upcoming majors and offering odds on just how much more winning he can do. For starters, the victory put Woods back at the top of the betting boards for every major over the next year. At the FanDuel Sportsbook, Tiger is now the favorite in each of the next four majors. He’s the clear favorite at the PGA Championship (+850), shares that honor with Dustin Johnson at the US Open (+950), stands ahead of Rory McIlroy at the Open Championship (+950), and is the clear pick for the 2020 Masters (+850). Those odds have as much to do with emotion and public backing as it does with Woods’ resurgence. Tiger betting is a popular pastime for golf fans, and his odds are naturally discounted a little to make up for just how much money is bound to come in on him. But even if that’s true, and even if Woods won’t be the overwhelming force he was in his youth, the numbers show that bookmakers and bettors alike see Woods as once again being one of the elite golfers in the world – an incredible accomplishment as he enters his mid-40s. Tiger’s triumph on Sunday has golf fans dreaming of just how much the legendary golfer can accomplish this year. He’s been near the top of the leaderboard in each of the last three majors, after all, so why couldn’t he win again this year? Bettors who think that Tiger will take down at least a second major title this year won’t get much value for their bet, as FanDuel is only offering +150 on that proposition. But if you think he can match his career best by winning three majors this season, that could be worth a +1000 payday. If you’re feeling extremely confident, and you want to plunk a few dollars down on Woods winning the Grand Slam, you can get +5000 on him sweeping all four majors – though even Tiger in his prime never pulled off that feat, which has never been accomplished in the modern era of golf. 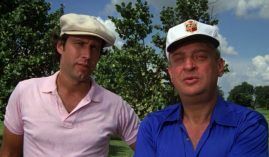 However, Bobby Woods once did it in the pre-Masters era, and Tiger did once win four majors consecutively – albeit over two calendar years. Tiger’s win also reignited one of the biggest questions about his career: can he catch Jack Nicklaus’ record of 18 career major championships? Woods now has 15 wins, and Nicklaus has admitted that Tiger’s latest triumph has him feeling less confident that his record will hold up. That chase will make for a fun Tiger betting market, as long as you’re patient enough to potentially wait years to see how it plays out. FanDuel Sportsbook is offering +500 odds on Woods winning at least 18 majors, and +1000 on him winning at least 19, which would set a new record for career major wins.